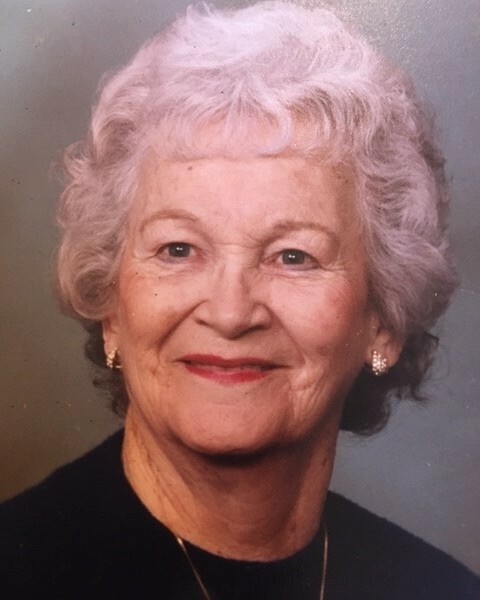 Cleo Savell Crawford passed away peacefully at home on Sunday, Feb. 3, 2019. She was born on the family farm in Neshoba County, Mississippi, 7th of the 8 children of George and Elma Savell. She married the love of her life, Paul T. Crawford, Sr. (CWO USAF, Ret) on July 26, 1945, and followed him to stations in N. Africa, Europe, and the East and West coasts of America, where they raised 3 children, Carolyn, Pat, and Deby. Her only job outside the home was as resident manager of British Woods Apts in Lenoir, NC, from 1974-1986. After Paul retired from the Lenoir Police Dept, they moved to Garden City Beach, SC, but couldn’t be away from their daughters and moved to High Point in 1998. Cleo was best known for her sewing, cooking, and gardening skills but would prefer to be remembered for her generosity and beauty. She loved fashion, especially shoes, and wouldn’t dream of walking out of the house without being impeccably dressed and coiffed, with makeup. In addition to her parents, Cleo was preceded in death by her husband, Paul; son, Pat Crawford; daughter, Carolyn Williams; brothers: Alton, Linton, Carl, and John Savell; sisters: Lydia Scott and Dean Scott. Those left to cherish her memories are sister, Lexie Williamson; daughter Deby and husband (and co-caretaker) Rick Simmerson; seven grandchildren: Jeffrey (Caron) Williams; Cara (Robert) Freshcorn; Scott (Lisa) Crawford; Marc (Jeannie) Williams; Dawn Williams; Lindsay Casebier (fiancé Chris Bray) and Jennifer Casebier. Two step-grandchildren: Carrie (Rett) Ingalls and Nick (Stephanie) Simmerson. Cleo had twenty great grandchildren: Shannon and Tim Freshcorn; Cody and Jordan Williams; Gregory Williams; Grace Yalung and Liz Crawford; Trevor, Caitlin and Carson Williams (and their mother Becky Reckner Williams); Katie Gramelspacher; Kenadee and Brodie Boone; Dani, Conor, Hannah, and Kira Ingalls; Lydia, McKenna, and Valerie Simmerson. And one great-great granddaughter, Ashia Freshcorn. She had numerous nieces and nephews including Ann Reeves, Sandra Williamson, and Roy Williamson. The ones that will probably miss her the most are the dogs that she shared every bite with and the cats that cuddled with her. A celebration of her life will be held at a later date. She will join Dad at Arlington Cemetery. The family wishes to thank her doctors: Dr. Aguiar, Dr. Ansenso, and Dr. Wroblewski and the wonderful nurses of Hospice of the Piedmont. And a special thank you to Nancy Stewart for keeping Mom beautiful and being such a dear friend. If you wish to memorialize her, please consider a donation to Hospice of the Piedmont.